Perhaps you’ve heard that traveling in Vietnam can be quite cheap. 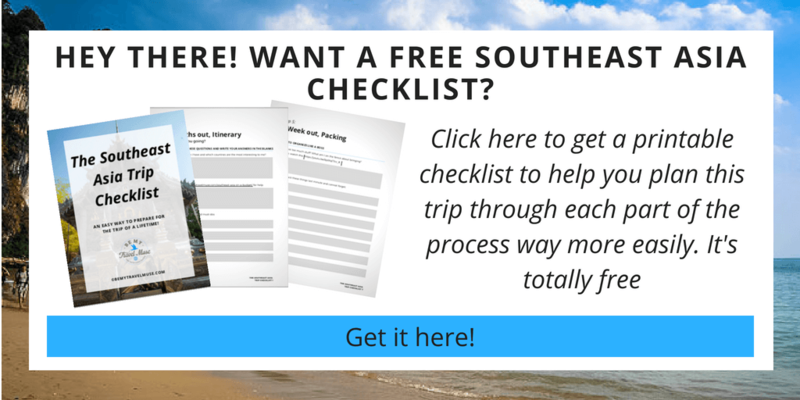 Perhaps you’ve heard that the country can be seen for around the holy grail of $30 per day. 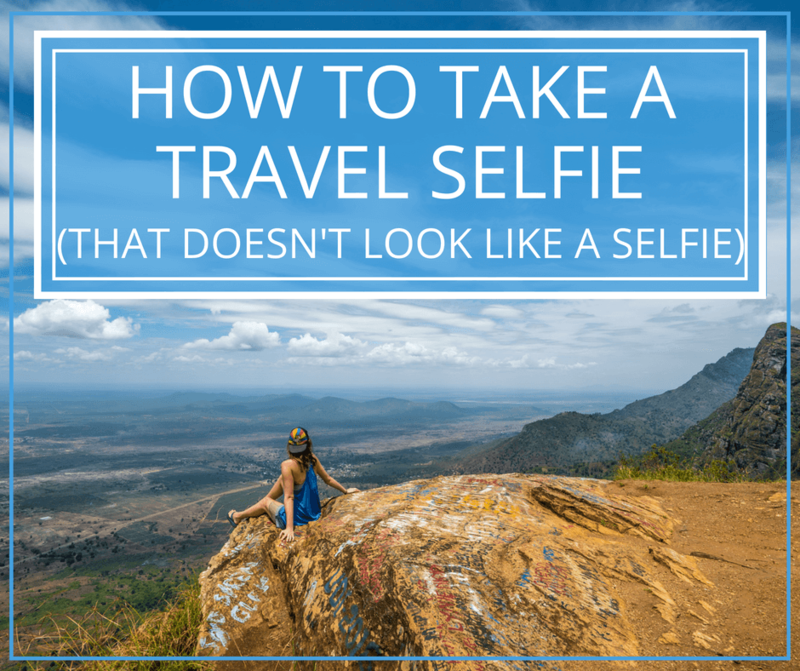 Perhaps you’ve heard you can eat, sleep, and explore it quite well on a very limited budget. I’m here to say that you heard correctly. 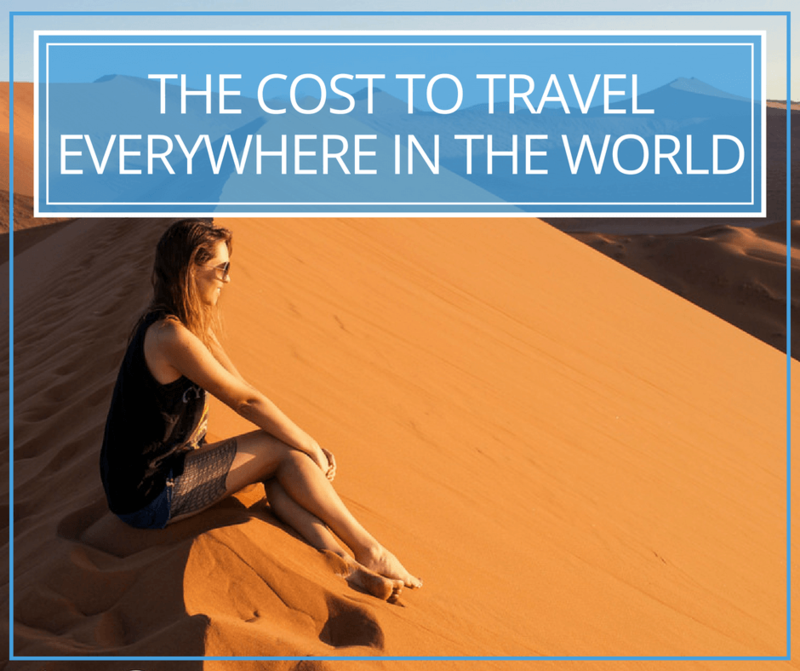 After two particularly painful months (for my wallet) in Sri Lanka and then the Philippines, I was ready to go back to my cheap backpacker ways, endeavoring to spend as little as possible while having the most enriching travel experience possible. I’m so happy to say that in Vietnam, this is entirely possible. This was during the Tet (Lunar New Year) holiday when all busses and trains doubled in price. Therefore, one could travel in Vietnam for even less at any other time of year. That said, Tet was a wonderful time to be in Vietnam, and celebrating with locals, eating meals and drinking around the fire with them made it all that much better. Accommodation is nice and cheap in Vietnam. There are dorms available just about everywhere, and it’s almost a guarantee that they provide fast internet, nice, warm showers, and often a cooked-to-order breakfast is included (as long as you wake up before 10am). 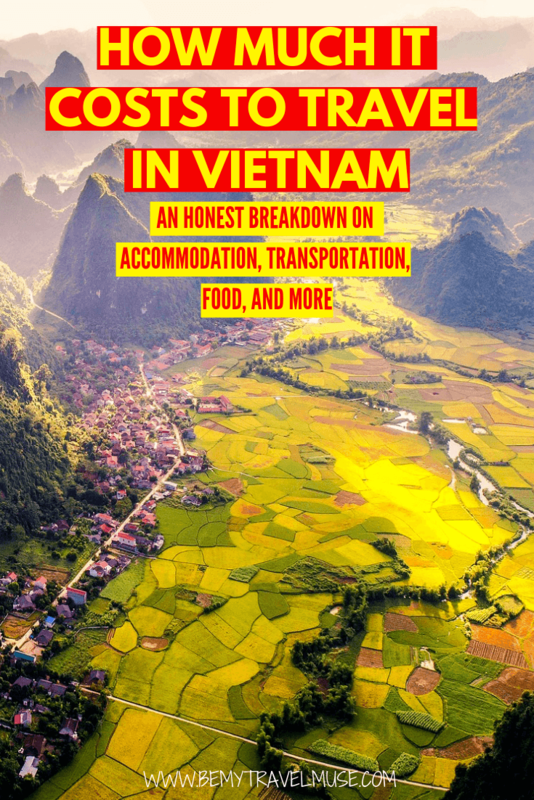 I spent an average of $7 on dorms and shared rooms while in Vietnam. Some were closer to $10, and some were closer to $5. I was very pleased with the quality and cleanliness for the money I paid. Be sure to download the Grab app on your phone! It works exactly the same as Uber, except that Uber is no longer available in Southeast Asia. Grab bikes are incredibly cheap and reliable, just be ready for the adrenaline rush when riding on in Ho Chi Minh City, as the bike zooms through what seems like millions of other bikes and cars. Taxis are pretty reasonable when they have to be taken. By going with trustworthy companies like Vinasun or Mailinh, which don’t fix their meters to cheat unsuspecting tourists, and always insisting on a meter, they never cost too much. Overnight buses and trains wouldn’t have been too bad if it weren’t for the Tet holiday. In some cases, they cost almost double. When possible, book directly instead of through your guest house, which definitely takes a (in some cases hefty) commission if they book for you. In Ho Chi Minh City, this means going directly to the Futa bus office in Pham Ngu Lao area and booking with them, even if you don’t intend to leave for a few days. An 8-hour bus ride costs about $10, which is pretty reasonable. This must be the single best part of Vietnam. I could easily get by on $1.50 on a lunch or dinner of street food, generally consisting of soup, fresh spring rolls, rice with various accompaniments, or noodles with meat. Sometimes I had the best food by just playing street food roulette, meaning I had no idea what I was ordering, but if there were lots of locals eating there, it was typically a good sign. A favorite of mine was the street soup vendor in Hoi An who shouted, “Vietnam!” at me when I walked by, followed by the biggest smile and most gleeful laughter I’ve ever heard, so clearly I had to eat there! I ended up with a soup with rice noodles, cilantro, amazing broth, and a whole shank of pork for $1.50. Then there were the soup ladies who would come over and add various things to my soup if they observed I wasn’t eating it right. It made me feel looked after. A generally good rule of thumb is to go to places that don’t have an English menu, are full of locals, and don’t have tablecloths. Bonus points if the food is served on the street! Can we also talk about the coffee? Vietnamese coffee is amazing, and typically only $1. It’s made with very strong coffee, sometimes mixing up to five different varieties, then mixed with sweetened condensed milk. Yum! Almost everywhere was pretty cheap. Ho Chi Minh City might have been the best overall deal, with really delicious street food and reasonably tasty beer for only 50 cents. I really have no complaints! The most expensive place was Hanoi, where I spent more like $2-3 on meals instead of my usual $1. However, I quickly found the cheaper food and coffee by heading out of the tourist areas and opening my eyes a little more to the nondescript places. Even though Hanoi was a little more expensive, it’s still amazingly cheap and easy to enjoy on a budget, and was a city I really enjoyed spending time in. SIM cards with data are also ridiculously cheap. One can get a month of data for only $5, along with some calling minutes and texts. It’s almost silly not to get a SIM when in Vietnam. Viettel and Mobi-Fone are great companies with great coverage and can be found in any city, and are topped up easily. Beer is very cheap and pretty tasty at around 50 cents to one dollar each. Let’s not forget the amazing cheap custom clothing and shoes that they make in Hoi An as well! 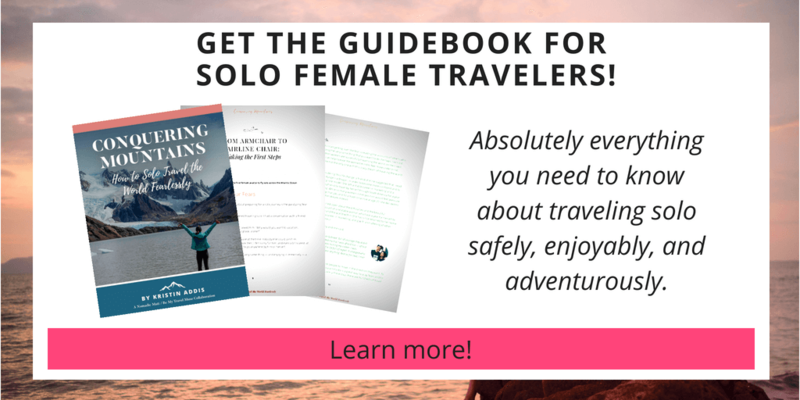 It’s also very easy to find other travelers to split various costs with, which makes things all that much easier if, like me, you’re a solo traveler. I almost never had to shoulder the cost of a taxi or shared car by myself. In fact, I was never alone in Vietnam, which was really nice after some lonely days in the Philippines. All in all, I love this country, the cheap eats, and the wonderful sights. Go there. I had heard Vietnam was cheap, but not THAT cheap! Wow! I would love to get a meal for $1.50…things are so expensive here in the Caribbean. Vietnam is one of the cheapest places I’ve been, and not only that, the value for the money is amazing. $36 is still a little bit more than we spent in Vietnam. For us it was around $15-$20, but we shared the cost of accommodation and food so it was cheaper for us! Great job! If it hadn’t been Tet I would have spent a lot less. Thanks Jimmy! I have no idea what I’ll have time for since I spent almost a full month in Yunnan. I move too slowly to get China seen in just two months! I think it is amazing how people can get by by only eating street food, something that most middle-class Brazilians I know would never do. Btw, have you been gotten food poisoning? It’s one of the fears I have. I’ve never (knock on wood) had food poisoning. I think most people get some stomach issues when coming to a new part of the world, eating the food, and getting used to the different bacteria. It’s inevitable. I love street food and trust it because they cook it right in front of me. I don’t eat things that have been sitting out and aren’t cooked fresh, though. My problem with street food in Asia isn’t really the quality, it’s the quantity. Sure you can get a meal for $1 or 2 but I would have to eat again an hour later! We spent similar amounts to you (though of course I track in NZ dollars). My partner was sick for most of Vietnam and consequently we started spending more on food as he became quite wary of street food. Uh oh 🙁 A few times I’ve had an upset stomach. Not full on food poisoning – but I’ve had to put myself on on a rice and bread diet until it got better. Definitely loving China and happy to report that it’s definitely cheap in Vietnam! Thanks for the great write up. We just got to Vietnam and are looking forward to getting back on budget. Unfortunately it seems like every time we turn around there are experiences we want to spend a lot of money on. Like diving in Thailand, and kite-surfing in Mui Ne. It’s always tough to find the balance between staying on budget and not turning down the experiences we are out traveling the world for! I think it always comes down to saving when it does not matter, and splurging for the experiences that do matter. It’s nice when you find that sometimes saving can mean better experiences than splurging, like with food or accommodation options. My apologies if you’ve already mentioned it in another post, but where did you go kitesurfing, and did you do any diving while in Vietnam? If so, where was the best place? I didn’t kite surf. I had a shoulder surgery a couple of years ago and, though it’s probably totally fine, I really don’t want to push it and re-injure myself, so I stay away from things that will pull heavily on the tendons. You can go to Mui Ne, though. It’s known for it. Diving is not good in Vietnam. I didn’t waste my money. I assumed you did since you used it as a splurge example. In that case, were there any good dive places in Vietnam you would recommend? Ah, a lot of people do so I used it as an example. I really don’t think the diving is good in Vietnam. I’d save your money on that! Only thing I really didn’t like was the huge amount of air pollution due to the scooters everywhere…HCMC and Hanoi are quite walkable but you have to really do it with a mask for sure! I’m writing this comment to you from China, where the pollution in Hanoi and Saigon seems like a fresh spring breeze in comparison! It’s so bad here. Yes, good luck with that nasty air pollution in China. I lived in Shanghai last year and most days out of the year you need to be wearing a 3M mask. Locals will not wear them but they don’t seem to understand the health effects, yet. A real 21st century problem. Cannot compare it to UK/USA now, or even years ago. The scale is enormous. Helpful blog. I’m glad it’s inexpensive there, that should make up for the expensive flight. Thanks for sharing! I will be traveling to Vietnam in December and I was wondering if you booked your Hostel stays in advance (a few days before arriving)? I’m in the midst of planning the trip, but I don’t know if I should pay for the hostel stays now. Thanks in advance! I keep my plans fluid but around holidays at least give it a few days if not weeks in advance. did you do your homestay during tet? what about halong bay? I’m visiting next January, I’ll arrive 4 days before the start of tet and I’m nervous that I won’t be able to do any of the things I want to do. Any tips would be welcome. I was in Hoi An during Tet and went north right after. That was actually a great way to do it! I don’t know if Halong Bay is still going on the day of but leading up to it you should be able to. 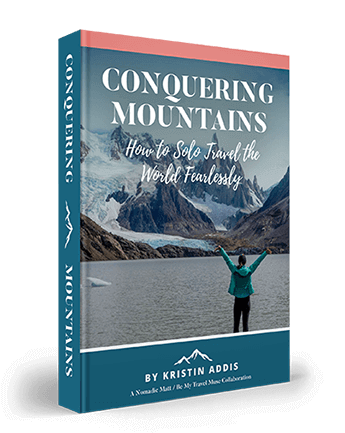 Hi Kristin your story is very inspiring. I’m planning a backpacking trip for my daughter and I in Southeast Asia. How do you financially support your travels? Great information! It’s always nice to learn about different ways to experience Vietnam. So interesting to read about your experience with the price differences in Saigon and Hanoi. Thanks for sharing! 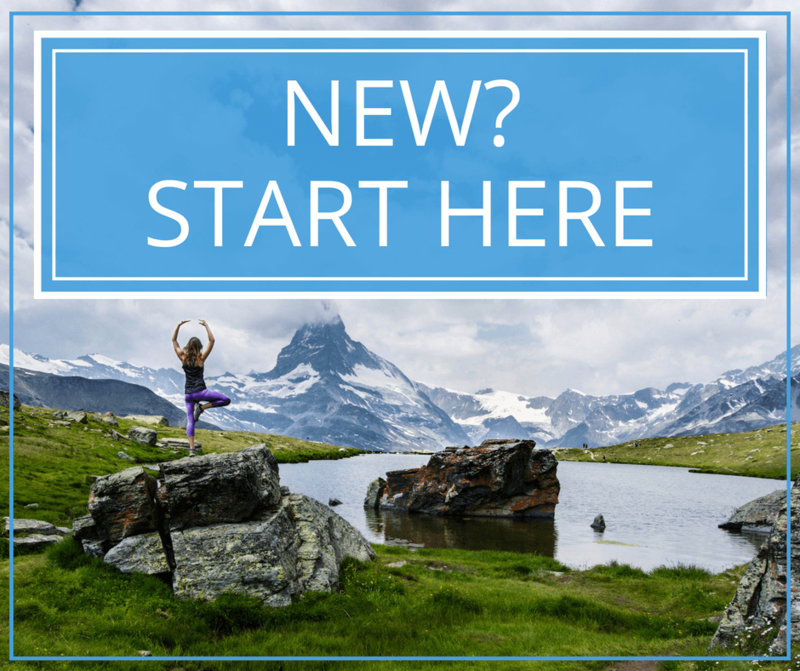 love your blog, very practical and gets the mind wandering 🙂 I also like the insightful posts you have shared about life on the road, relationships and finding yourself. 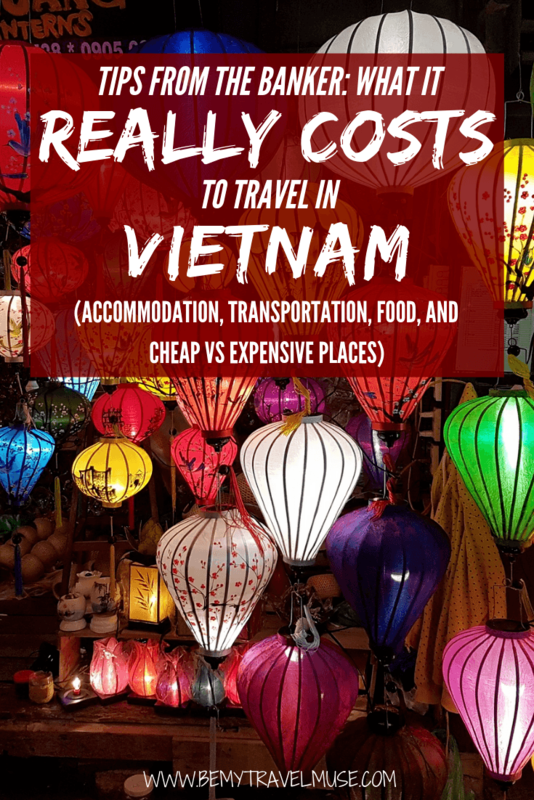 This has gotten me planning a trip to Vietnam so thanks for the costs breakdown! I’ve only used hostels in Europe, so I was wondering if you have any tips on managing those and staying safe? I love the suggested equipment list, but for example would you recommend keeping passport and card on you at all times or leaving it in your bag in the hostel? (assuming there is no safe). 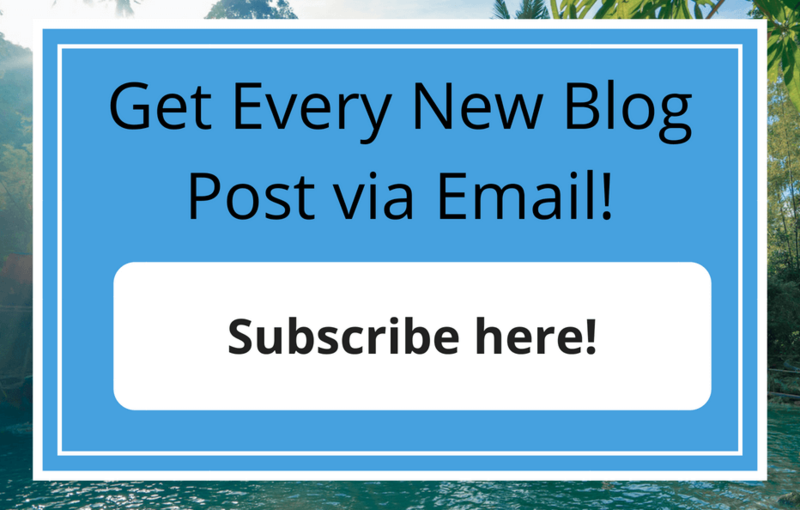 Did you ever blog about these topics? couldn’t seem to find it! Glad you like the blog and what you’re finding on here! In Vietnam the hostel is required to keep your passport at the front desk, but otherwise I lock mine up in the wire mesh bag protector mentioned in the gear lists. That’s where I keep everything if they don’t have individual lockers. Hope that helps!